Summary. 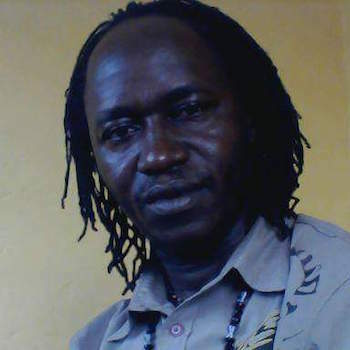 Theophilus Gbenda is a radio journalist in Sierra Leone who is continually harassed and threatened because of his dedication to representing his people, regardless of the political elite’s responses to his challenges. He has been arrested and locked up several times, his life and those of his family members have been threatened, and he is continually harassed. But Gbenda has resisted all threats, as well as bribes, and remains a trusted source of information and advocacy in the country. Profile. Theophilus Gbenda’s courage was tested early, during Sierra Leone’s brutal civil war when he was forcefully conscripted and made to fight rebel battalions until, after seven months, he escaped. As a fearless journalist, He’s been arrested, harassed and threatened, once having to move his wife, four children, and two younger siblings to an undisclosed location for their safety. Still, he resists. At the radio station, Gbenda anchored the “Burning Issues” program and frequently challenged the powers-to-be; one of the “burning issues” was corruption. Soon, especially after appearing on television and receiving awards for his work, Gbenda became one of the most popular—and controversial—journalists in Sierra Leone.